Tom - Traditionally, we use the process called natural separation to remove the cream from milk and essentially what this is is we leave milk in a bucket and naturally, the cream will rise to the surface and we just collect it off. However, this is a very slow process requiring several hours. This is not feasible for large cow production. So today in the dairy industry, what we use is a machine called the centrifuge. What this does is that we spin milk at a very, very fast rate, several thousand times faster than the speed of gravity. This pulls out all the fat from your milk in a very, very fast timescale in the order of seconds to minutes. Graihagh - That sounds like a pretty efficient method. What was wrong with this method that you then decided to go away and devise another? Tom - One potential issue is that when we use a centrifuge, we rip out all the fat. So, what we will have remaining is very, very skim. And so, in order to make 3% fat milk you have to take a portion of this cream and put it back in. Graihagh - Okay, I see. So, all milk is skinny milk if you like, no fat and then to make the semi-skim milk, you just have to go and put a load of fat back in it. So, it's a bit inefficient essentially. Tom - Yes. So, one of our motivations was to have a technique where we could pretty much dial in a composition that you wanted. Let's say, 2% fat milk, you put it in and your process would spit that out without having to restandardise. And so, the technique that we're interested in using is applying soundwaves to speed up the rate of which natural separation occurs. Graihagh - You say you're using soundwaves to do this. So, if we were to put our voices and channel it through the milk, would my voice produce a low fat milk or is it not quite as simple as that? Tom - It's not quite as simple as that so the soundwaves that I'm talking about are actually, ultrasound waves. These oscillate at say, millions of times per second. The voice is tens to hundreds of oscillations per second. So, we're actually several orders of magnitude higher in terms of frequency. Tom - Compared to say, natural separation itself, 5 minutes as opposed to say, 6 hours. Graihagh - Wow! So, it's a huge improvement on the natural process then. Tom - Obviously, we can't compare with a centrifuge in this respect because a centrifuge takes several seconds though. 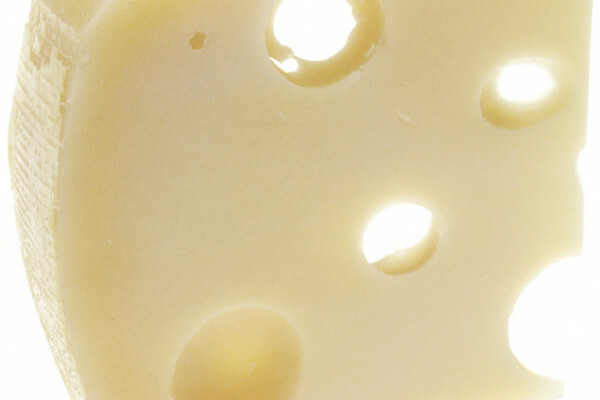 But one of the reasons as to why we're interested in accelerating natural separation as opposed to trying to improve centrifugation is that natural separation is a method still used today in traditional manufacturers of specialty cheese. For example in northern Italy, they use natural separation as the method to make the skim milk which they use to make parmesan cheese. The motivation for doing this is when you use natural separation, we're not pulling out all the fat globules we're specifically, pulling out the larger fat globules. So, what is retained in the semi-skim milk specifically has more of the smaller fat globules. So, if you have small fat globules and you eat the cheese it tastes creamier. And also, there's benefits in terms of when the cheese develops its flavour, the small fat globules contribute to this as well. Graihagh - So, multiple benefits - not only is it faster, it's actually tastier and a little bit better for you. What's not to like? Is it going to be cheaper cheese for all? Tom - It depends on how large the scale we can scale this technology to. At the moment, we're currently developing one that can go to say, 100 to 200 litres per hour. Graihagh - As a non-dairy farmer I suppose, 100 litres an hour, what sort of scale is that? I'm finding it hard to imagine 100 litres of milk. Tom - A hundred litres per hour is actually a very, very small scale. So, if we're talking about a large diary producer where they're making 10,000 litres per hour. 100 litres per hour is more along the lines of say, of a farmhouse style producer. Obviously, the larger the device that we can build, the higher the throughput and therefore, the more benefit in terms of profit that a potential dairy producer could obtain from it. Obviously, the scale is in terms of being cheaper to make if it's bigger relative to a smaller version. Graihagh - A sound idea. Swinburne University's Tom Leong. The work was a collaboration between Swinburne University of Technology and the CSIRO, and was jointly funded by the Australian Research Council and the Geoffrey Gardiner Dairy Foundation. Next Can babies feel pain?